The mission of the Funk Heritage Center is to tell the story of the early Appalachian Settlers and Southeastern Indians through educational programming and the collection, care and exhibition of art and artifacts. 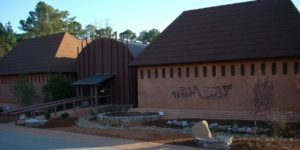 Georgia's Official Frontier and Southeastern Indian Interpretive Center - Because of its focus on telling the story of the Southeastern Indians, including the Cherokee and Creek Indians, as well as the early Appalachian settlers, in 2004 the Georgia Legislature designated the Funk Heritage Center as Georgia's Official Frontier and Southeastern Indian Interpretive Center. Governor's Award in the Humanities - In May of 2011, the Funk Heritage Center received a Governor's Award in the Humanities. 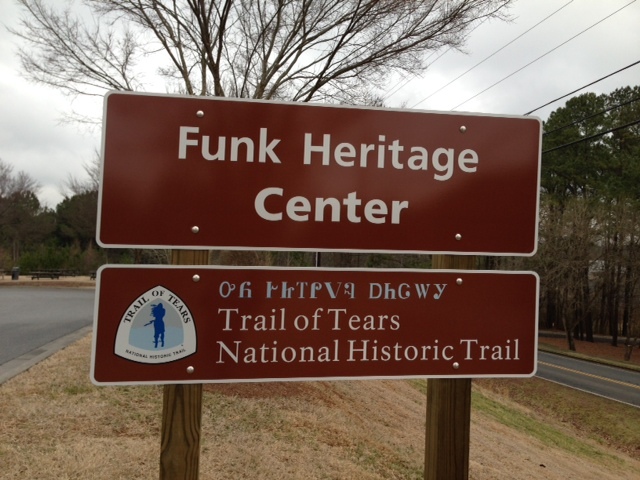 At that time, the Funk Heritage Center was only the ninth museum in the state to receive this prestigious award. This state-wide program recognizes and celebrates local community organizations and members working to increase the understanding and appreciation of the humanities in Georgia. Interpretive Center on the National Park Service Georgia Trail of Tears - In 2013, the National Park Service Trail of Tears designated the museum as a certified interpretive center on its official Georgia Trail of Tears.